If you don’t have fake survival food sitting out, you just might be setting yourself up for failure in a crisis. The reason for this is that marauders, pillagers, and even possibly your own neighbors can come snooping around your house after SHTF. It is practically guaranteed that grocery store shelves will be emptied as soon as a major emergency occurs, and if that happens people that did not prepare well will most likely come to steal all the survival food you stocked. 1 – What Is Fake Survival Food? Fake or “decoy'” food is that which you want thieves and pillagers to take. They’ll think they’re making off with your treasure trove of food, when really they won’t have even a fraction of the real goodies. Here’s Healthy Prepper explaining what this decoy food would look like in your home, and why it’s an incredibly smart move to get it NOW before SHTF. Remember to purchase popular survival food brands for your decoy food, such as Mountain House, Legacy Foods, Wise Company, and Survival Cave.These will alert the marauders that this is your survival stash and that they really are leaving you high and dry. 2 – Where Can I Get Decoy Food? Once you have the food, you should put it in very common places where burglars are bound to look. I’m talking about places like kitchen cabinets, drawers, and pantries. You also want to make sure you have a diverse amount of food supply so the marauders think that they’re taking your entire stash. Now, having real food is incredibly important of course, but if you don’t know how to hide your survival food, you could be setting yourself up for a whole world of hurt. That’s because in a SHTF situation, if people know you’ve got survival food stored up it’ll probably take days before they’re breaking down your door trying to get some for themselves. It’s crucial that you understand how to keep your stuff hidden in order to keep it for yourself when SHTF. Note: A lot of these options remind me of a blog I wrote regarding where to hide your money in plain sight. If you expect for the marauders to leave your valuables alone, you’ll need to know this as well. Click here to read the article. People might search through your mattress and pillowcases, but few thieves will take the time and hassle to dig through your box spring. This is a great hiding space to store your canned goods. Unless your burglar is looking for bird food, there’s little chance he/she is going to look in the birdhouse for survival food. Stash small bags of food in here. If you’ve got a survival garden, you can bet that a thief is going to be there to grab your hard-earned vegetables. However, they’ll likely be so invested in snagging your carrots and tomatoes that they won’t think to dig through your dirt. You can grab some PVC pipes, insert your survival food, and bury the pipes underneath your garden for safe keeping. Old, solid-colored plastic bottles (think shampoo, conditioner and body lotion bottles) are often great for storing survival food. Plus, most robbers won’t think to rifle through your shower stuff to look for sustenance. Keep in mind many bottles have small openings, so you may have to cut off the top, insert your bags of food, and then superglue the top back on. But it’s worth the hassle if you get to keep your food. If you’ve got outdated computer monitors, radios, or television sets you don’t use anymore, you can hollow them out and put your survival food on the inside. After all, what thief is going to be interested in a TV that doesn’t work? If you don’t mind one of your rooms being a bit warmer than normal, you can always hide your survival food inside a vent. Unless a thief is needing some new decor, they’re not likely to steal your throw pillows. 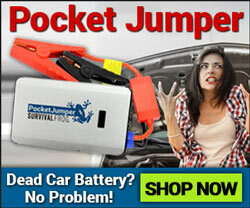 These make an ideal hiding spot for storing bags of survival food. If you’ve got old boxes from your electronics, appliances, pet food, etc. these can make great storage places for survival food. If thieves are looking through your stuff, they’ll most likely assume you just have a bunch of appliances stored up there – not delicious food. Potted plants provide an excellent hiding place for storing your survival food. Simply store the food in an airtight container, and place it at the bottom of the pot. Throw some dirt/soil on it, and plant some new flowers. No one will be the wiser. Loose wall panels are a great place to store survival food in. After all, when burglars are in a rush, they typically only grab what’s out, available, and in common places. Which means they’re far less likely to search in the walls. 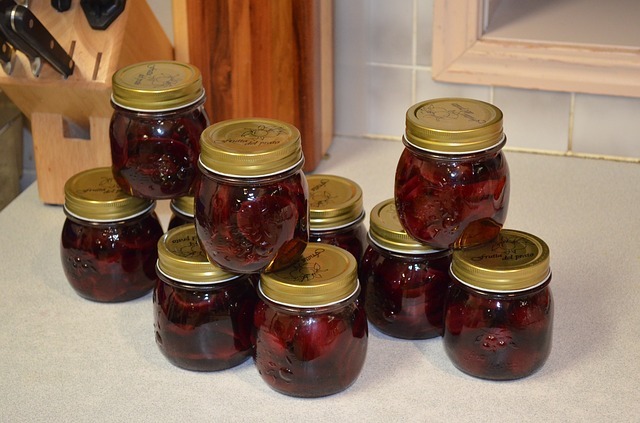 Much like #10, if you’ve got loose floorboards in your house, these can be a great location to store survival food in. Throw a rug over the panel, and place a table or dresser on top to help prevent theft. Choose a bed with a large headboard, and then pull the bed out about a foot away from the wall. Then, stack buckets and/or boxes of survival food in that space. 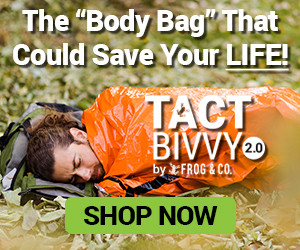 Take a large blanket, and cover the headboard and survival food with it. The goal is to make it look like you have a very large headboard that’s covered with a blanket. Part of hiding your survival food is making it so that you can easily store as much items as possible in as little space as possible. It’s also best to be able to hold the food in a container that you know won’t leach chemicals into your food. 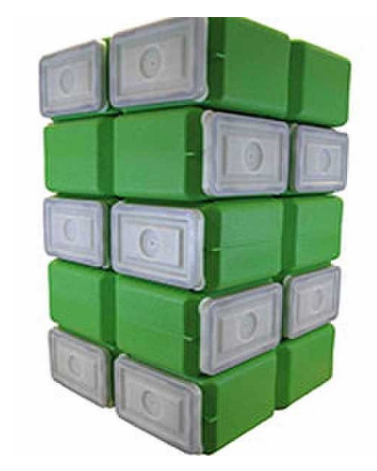 One of the best storage places you can use is the FoodBrick 3.5 Gallon Food Storage Container. These storage containers are incredibly durable, allowing them to withstand tons of abuse as you move them around and protect your food from harm. They can even hold 120 lbs. of 9mm ammunition! Another reason these containers are ideal is that they’re stackable. 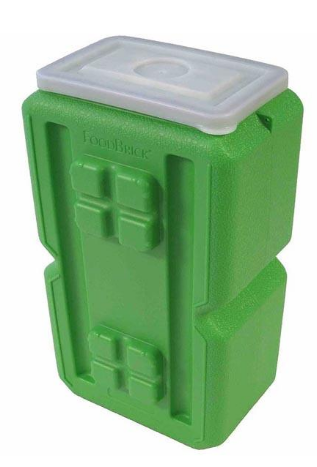 When you’re storing food, you need to do it in as little space as possible; thankfully, these FoodBricks lock together, allowing you to store an incredible amount of food in very little space. They also stack with WaterBricks, allowing you to store food and water in the same location. You’ll also never need to worry about the safety of your food storage; each container is made from BPA-free plastic, so they’ll never leach toxic chemicals into your food storage (unlike other storage systems). Like i said, survival food is one of the most important elements you’ll need in a crisis, and if SHTF, you’ll need a lot of it. Make storing it easier with this incredibly durable, locking and stacking BPA-free system. 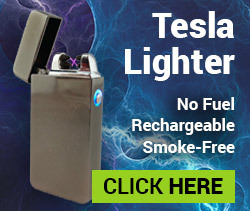 Click here or on the images below to get yours today. This entry was posted in Emergency Survival, Family Survival, Prepping, SHTF, Survival Hacks, Videos and tagged DIY, food, food storage, prepper hacks, survival food on August 19, 2016 by Survival Frog.